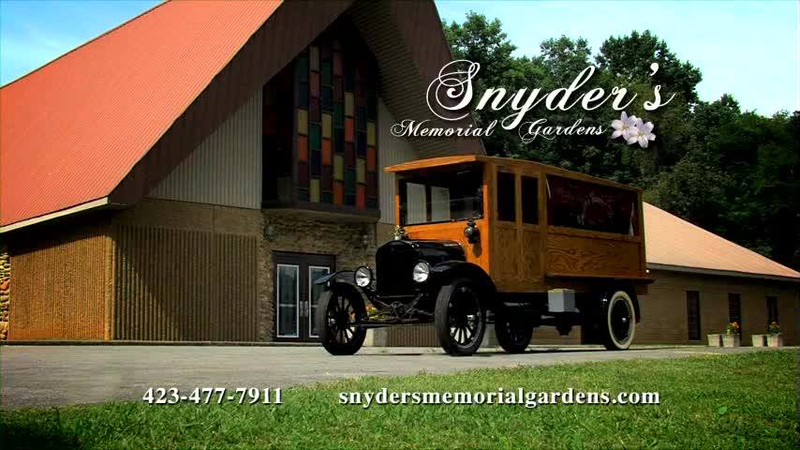 "Let Us Walk This Difficult Path With You"
Snyder's Memorial Gardens offers affordable funeral and cremation services in the Johnson City, Kingsport, Gray, Bristol, Jonesborough, Erwin and Elizabethton,Tennessee areas, as well as Southwest Virgina. We are the only Funeral Service in the area with a crematory, funeral home and cemetery all in one location. Your loved one never leaves our care. Call today or come by and have a cup of coffee so that we can answer any questions you may have. We have been caring for families since 1976 and you can count on us to be here to care for you too.